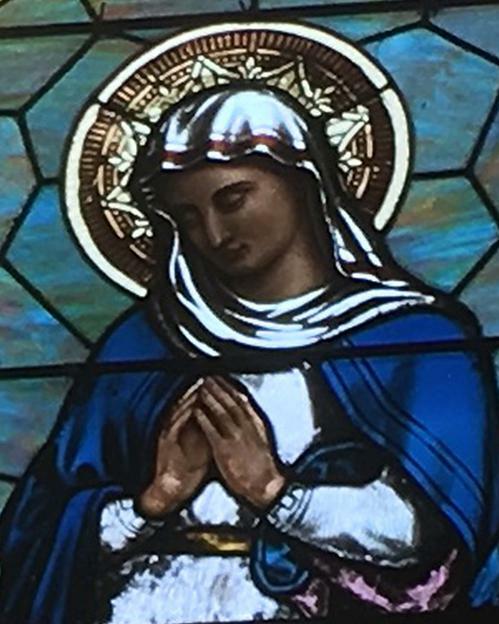 St. Patrick Church in Bellefontaine, Ohio awarded their stained glass window restoration to Blanck Studios in December 2017. The scope includes new protective storm glazing. 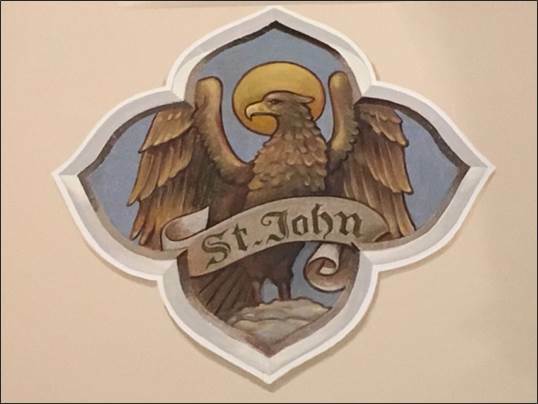 By Spring 2018, Michael was asked to conceptualize a new paint scheme for their Sanctuary. 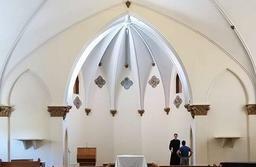 This, the first of two decorating campaigns, was coordinated to welcome a recent movement of upgrades within the Parish. 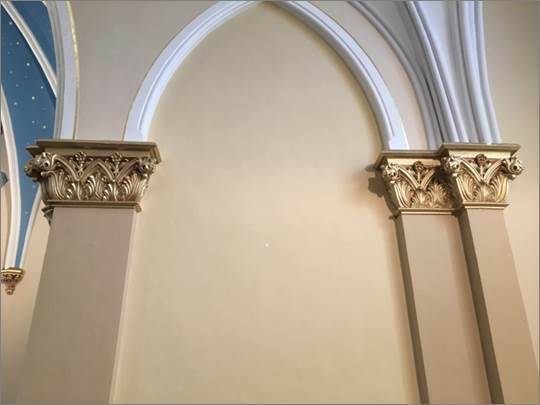 Come July, BSOA was engaged in a three week interior restoration of their Sanctuary and front Transept to prepare these spaces for new altars. 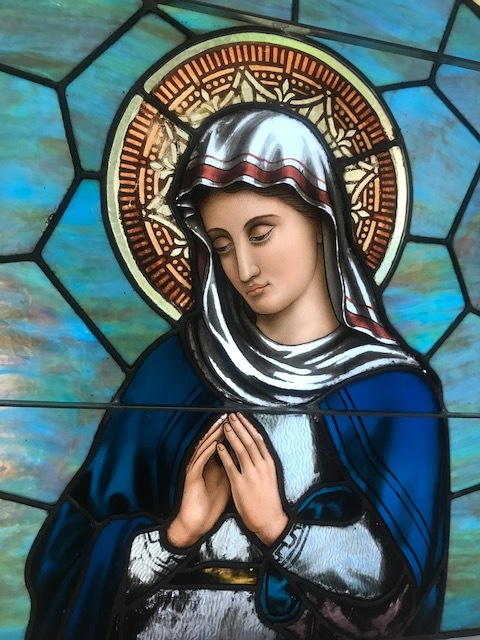 You will notice in the title photo (above) that the Apse lancet windows were removed and their restoration coordinated in conjunction with this painting initiative. The blue canopy, twinkling with 23 kt. genuine gold leaf stars of varying size and placement, is to "convey the reality that the Mass enables us to see into the glory of Heaven" explains Rev. Shawn Landenwitch. Formerly white walls are softened with creamy tones and pilasters that frame the left and right side altar openings now have presence. 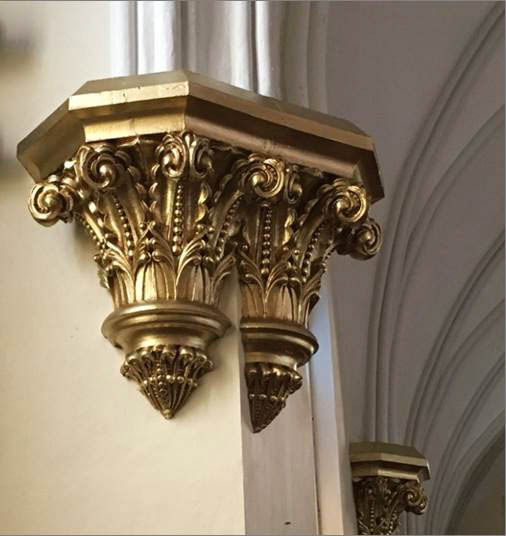 Ornate capitols and drop finials are glazed with reflective gold paint and tipped with 23 kt. genuine gold leaf. 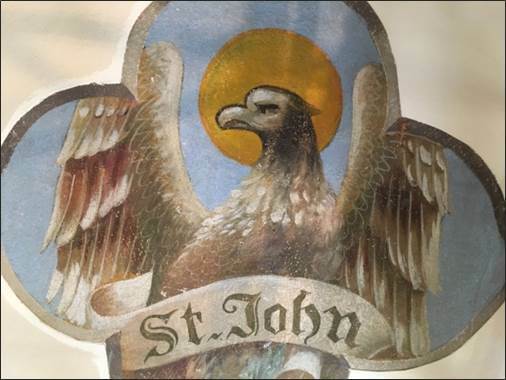 Each of seven existing iconic medallions in the Sanctuary were restored and adorned with a trompe l'oeil (3-dimantional) painted frame. 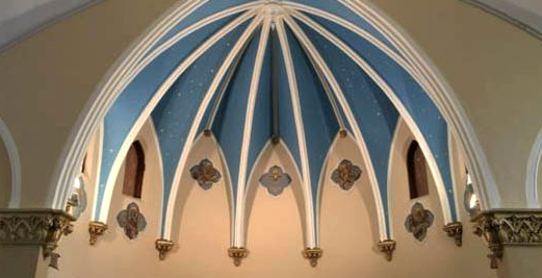 Two new iconic symbols representing Mary and St. Joseph were added inside the arch-tops of the side altar niches in likeness of the others.